With less than a week to go before the launch of L.A. Noire in the US on May 17, Rockstar have released yet another character dossier that will get you even more excited for the upcoming title. This time, the focus is all on Captain James Donnelly, the Officer-in-Charge of the Homicide desk. Captain Donnelly is an Irish-born LAPD veteran, who is more concerned about cold, hard results than he is about the letter of the law. Donnelly is both respected and feared in the force, with a reputation as the pragmatic and no-nonsense officer. It is from him that Cole Phelps takes briefings and debriefings, and it is him that can make or break a man’s career in the LAPD. 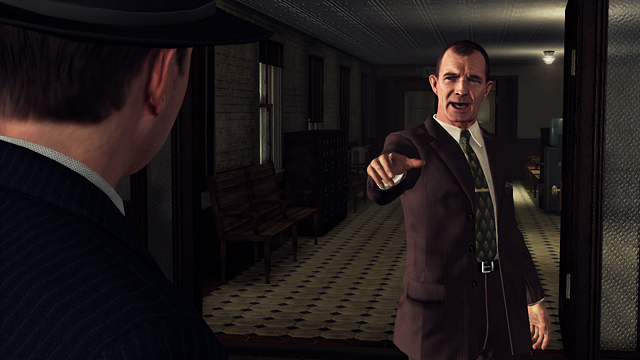 For Donnelly’s dossier, check out the L.A. Noire Official Website here. Otherwise, check out our article on All You Need to Know About L.A. Noire, and prepare for May 17/May 20! Dynasty Warriors 7 – Gameplay at the GDC!